Still recovering from ringing in the new year with friends and family? Same here, hence the late posting of our usual “what’s on” (apologies for that!). January is usually a slow start for everyone, so please remember to check our listings regularly as we will be adding new events every week. Find more info about family-friendly brunches in our post “Sunday brunch with kids” or book your little one’s ski lessons to make the most of the season’s snowfall (more info here). Did you know you can still visit Santa’s house in Andilly? 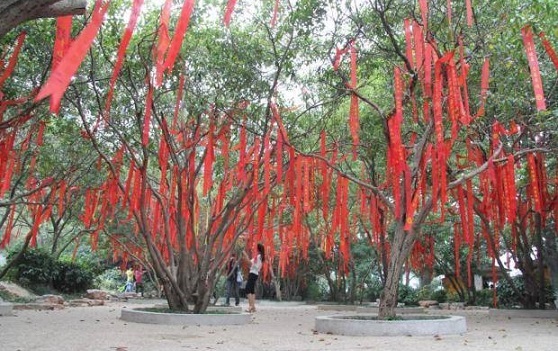 If all else fails, don’t forget to take a look at our Sunday Survival Guide too! Saturday 10th January 2015: “Boing, Boum, Tchak… Whizz !” AKA Les Zétonnants voyages du prof. Klang (alias Patrik Dasen), a fun music show suitable from age 8 at the Saint-Jean public library in Geneva (Avenue des Tilleuls 19). The show is free of charge and it begins at 3pm. FREE ENTRY. no advance booking required. Saturday 10th January 2015: “Dinosaures, fossiles et autres aventures de la Terre Animation Géosciences”, a workshop and conference in French for kids aged 6+ at the Muséum d’histoire naturelle, Genève (1, route de Malagnou). A fun way to discover more about fossils and dinosaurs, these free Wednesday workshops in French start from the hall on the 3rd floor and take place at 2pm, 3pm and 4pm. 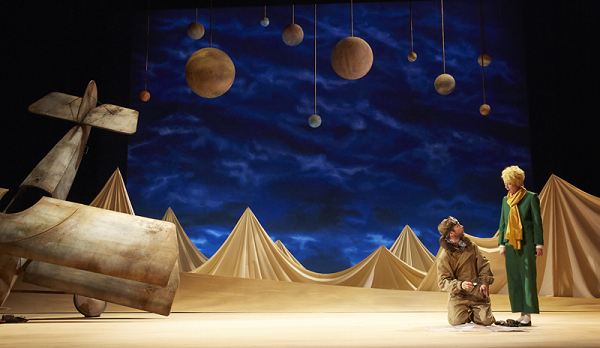 until 10th January 2015: Le Petit Prince, opera for children in Geneva. read all about it in our previous post! 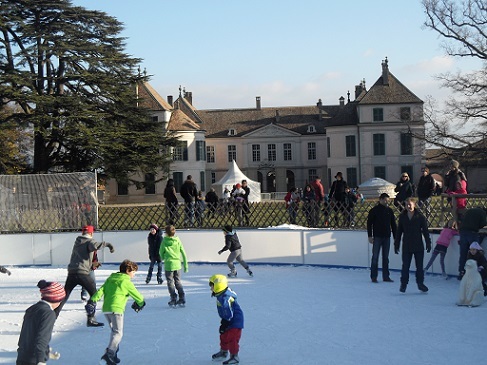 10th-13th January 2015: Genève Indoors – a football fest for fans of all ages, book tickets to see Servette play or the junior boys and girls tournaments at the Patinoire des Vernets. The boys Festifoot tournament will take place on Saturday and the girls’ on Sunday. Visit Genève Indoors official website for full details. 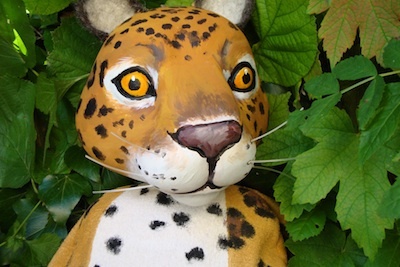 Saturday 10th, Sunday 11th & Wednesday 14th January 2015: “Jaguar plante un arbre” puppet show in French suitable from age 4 by the theatre company Les Croquettes at the Salle communale in Satigny (rampe de Choully 17), starting at 2.30pm. Tickets on sale at the entrance so try to get there a bit earlier. There will be other performances on Sunday 11th at 11am and 2.30pm; as well as on Wednesday 14th of Jan. at 2.30pm and 4pm. 10th-18th January 2015: “Super Elle”, little Lisa receives a fantastic present: a super-hero costume! 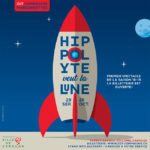 This ia a great show in French by the Genevan theatre company l’Articule suitable from age 2 at at Le petit théâtre in Lausanne (place de la Cathédrale 12). See the official website to book your tickets. Tuesday 13th January 2015: Né pour lire, story time in French for babies at the Bibliothèque de Carouge (Boulevard des Promenades 2bis), starting at 10am. Free entry no advance booking required, a nursing area and cushions are also available for breastfeeding mums. Wednesday 14th January 2015: “Dinosaures, fossiles et autres aventures de la Terre Animation Géosciences”, a workshop and conference in French for kids aged 6+ at the Muséum d’histoire naturelle, Genève (1, route de Malagnou). A fun way to discover more about fossils and dinosaurs, these free Wednesday workshops in French start from the hall on the 3rd floor and take place at 2pm, 3pm and 4pm. Wednesday 14th January 2015: Animation du mercredi: “Au secours des petits géants”, Wednesday workshops from age 7 at the Muséum d’histoire naturelle, Genève (1, route de Malagnou). A fun way to discover more about the fascinating world of beetles, these free Wednesday workshops in French will take place every Wednesday during the months of January and February 2015 from 2pm to 4.30pm (on the second floor). Wednesday 14th January 2015: “Du tronc à la statue”, part of the Mercredis Family at the Musée d’art et d’histoire in Geneva (Rue Charles-Galland 2). Children aged 6 and older accompanied by an adult are welcome every Wednesday at 3pm to discover all about the museum collections in a fun, interactive way. Reserve your places in advance at adp-mah@ville-ge.ch or by phone at 022 418 25 00. 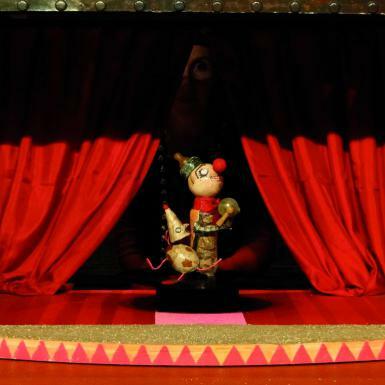 Wednesday 14th January 2015: “La soupe au caillou”, delightful puppet-show in French suitable from age 3 at the Espace Grosselin in Carouge (Rue Jacques-Grosselin 31) starting at 2.30pm. FREE ENTRY, no advance booking required. 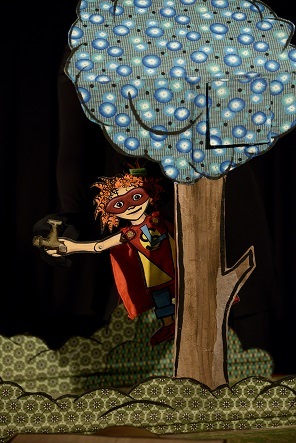 Wednesday 14th January 2015: “Jaguar plante un arbre” puppet show in French suitable from age 4 by the theatre company Les Croquettes at the Salle communale in Satigny (rampe de Choully 17). Tickets on sale at the entrance so try to get there a bit earlier. There will be 2 performances: one at 2.30pm and the second at 4pm. 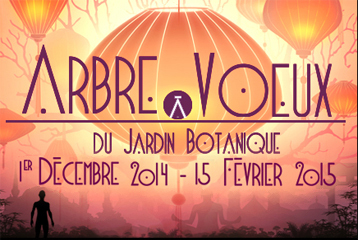 15th-18th January 2015: A petting farm right in the heart of Carouge? 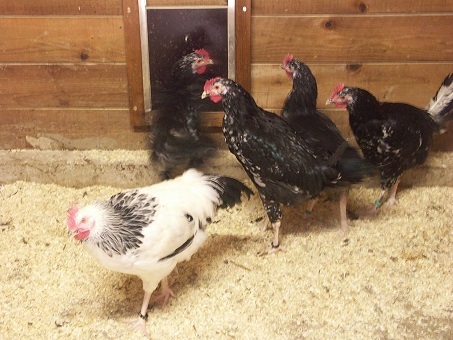 Yes, that’s happening right now: from the 15th until the 18th of January you can take the children to visit the yearly “Exposition d’aviculture” on the place de Sardaigne in Carouge to see the farm animals including chickens, sheep, cockerels and more! 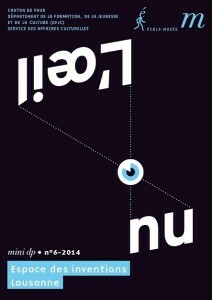 Entry is 6CHF for adults and 4CHF for children. Open from 8am until evening. 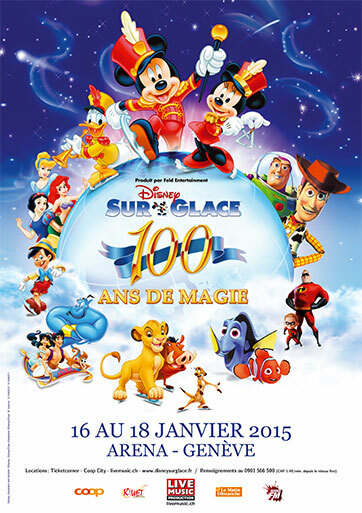 16th-18th January 2015: “Disney Sur Glace – 100 Ans de Magie”, the iconic Disney skating show for the whole family needs no introduction. Performed in French at the Arena Genève with day & evening performance times. Check the official website for ticket prices and exact times. 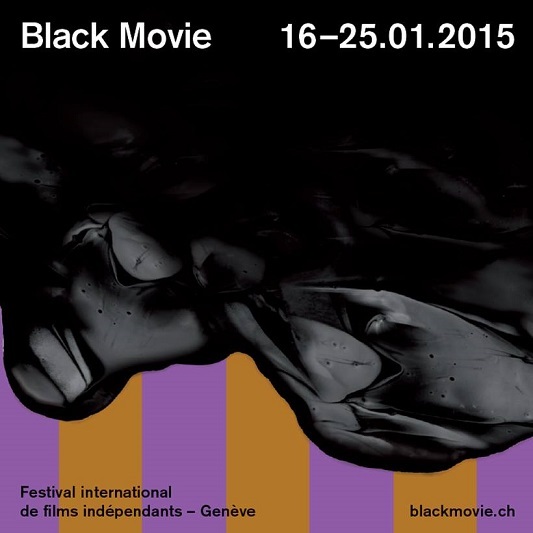 16th-25th January 2015: Black Movie – Festival de Films Indépendants and “Le Petit Black Movie” represent one of the most important film festivals in Geneva. Get ready to be wooed by a superb selection of movies from Asia, Africa and Latin America covering themes like current affairs, new urban cultures and more. 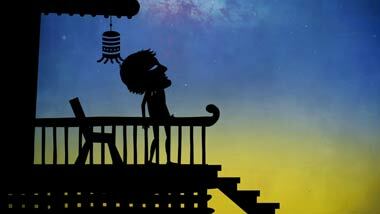 “Le Petit Black Movie” selection, for ages 3-13, will feature more than 40 films. The festival’s full programme is now online, take a look at the official website for more details on all the great movies and kids activities planned. Saturday 17th January 2015: “Dinosaures, fossiles et autres aventures de la Terre Animation Géosciences”, a workshop and conference in French for kids aged 7+ at the Muséum d’histoire naturelle, Genève (1, route de Malagnou). A fun way to discover more about fossils and dinosaurs, these free Wednesday workshops in French start from the hall on the 3rd floor and take place at 2pm, 3pm and 4pm. Saturday 17th January 2015: Né pour lire, story time in French for babies at the Bibliothèque de Carouge (Boulevard des Promenades 2bis), starting at 3pm. Free entry no advance booking required, a nursing area and cushions are also available for breastfeeding mums. The story time session will be followed by a “Questions de parents” meeting in French, where parents can share advice and discuss parenting issues. Saturday 17th January 2015: Cultures animées, free Animatou screenings suitable from age 8 in the Auditorium of the the MEG museum in Geneva (Musée d’ethnographie de la Ville de Genève, Boulevard Carl-Vogt 65-67). From 11.15am until 11.45am. FREE ENTRY no advance booking required. 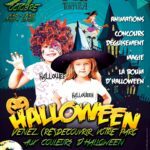 Saturday 17th January 2015: “Têtes à têtes”, a theatre and dance show suitable from age 3 at the Salle des Fêtes du Lignon in Le Lignon – Vernier (Place du Lignon 16) starting at 4.30pm. Tickets are 20CHF for adults and 10CHF for children under 10. 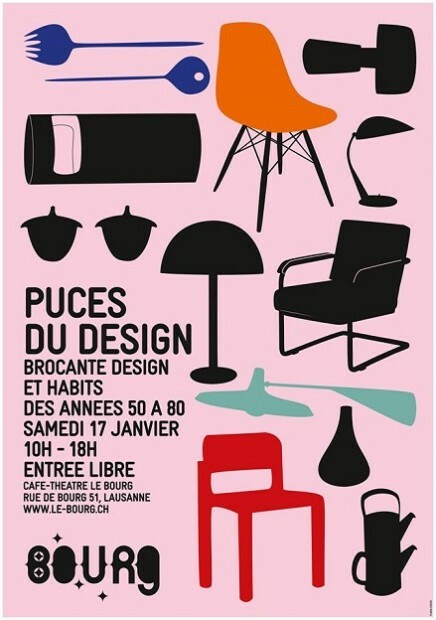 Saturday 17th January 2015: Les Puces du Design, a sterling vintage furniture exhibition running from 1oam until 6pm at Le Bourg Café in Lausanne (rue de Bourg 51). Find some great vintage pieces and accessories, including clothing, from the 50s, 60s, 70s and 80s. FREE ENTRY. 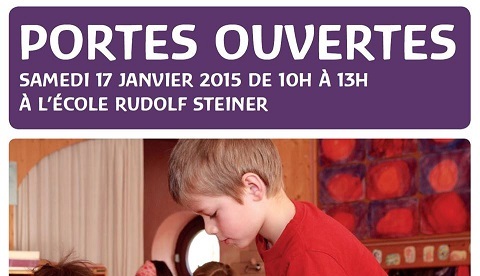 Saturday 17th January 2015: Portes Ouvertes from 10am until 1pm at the Ecole Rudolf Steiner de Genève (Chemin de Narly, 2, 1232 Confignon). 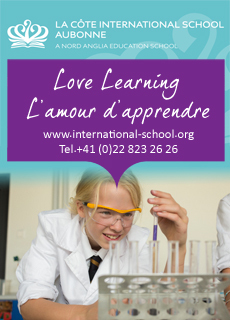 Find out all about the Steiner educational method for children aged 2 and a half to 18 with guided tours of the school and meetings with the school’s teachers. Copyright © Ecole Rudolf Steiner de Genève . All Rights Reserved. 17th January-8th February 2015: George’s Marvellous Medicine at the Simply Theatre Studios in Versoix (Centre de Choiseul, Avenue de Choiseul 23A). Based on the Roald Dahl story, this is a great family show, here’s the storyline taken from the official theatre website: “George lives on a farm with only his parents and his grumpy old Grandma for company. One day, Grandma’s moaning becomes too much for poor George, and he decides to teach her a lesson she’ll never forget. George mixes up a magic and mysterious potion and gives it to his Grandma in place of her usual medicine. That’s where the fun REALLY STARTS!”. See the Simply Theatre official website for ticket prices and exact performance times. 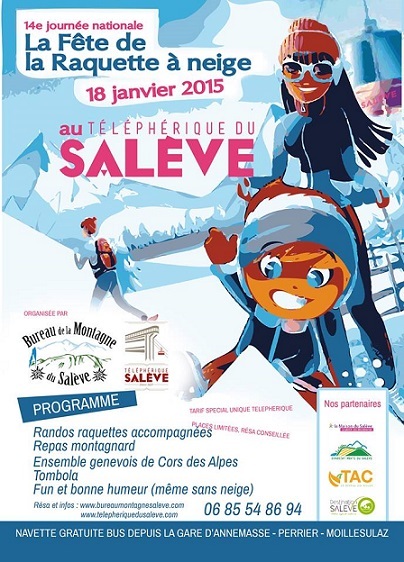 Sunday 18th January 2015: ‘Fête nationale de la raquette à neige‘ from 10am until 5pm on the Montagne du Salève. 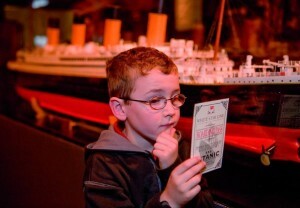 Activities, guided walks and much more (even if the snow isn’t there! ), including igloo building workshops suitable from age 6. Reserve your places now at info@bureaumontagnesaleve.com or by phone at +33 6.85.54.86.94. Téléphérique du Salève – Route du Téléphérique – 74100 Etrembières (France), tel. +33 4 50 39 86 86. Wednesday 21st January 2015: “Dinosaures, fossiles et autres aventures de la Terre Animation Géosciences”, a workshop and conference in French for kids aged 6+ at the Muséum d’histoire naturelle, Genève (1, route de Malagnou). A fun way to discover more about fossils and dinosaurs, these free Wednesday workshops in French start from the hall on the 3rd floor and take place at 2pm, 3pm and 4pm. Wednesday 21st January 2015: Animation du mercredi: “Au secours des petits géants”, Wednesday workshops from age 7 at the Muséum d’histoire naturelle, Genève (1, route de Malagnou). A fun way to discover more about the fascinating world of beetles, these free Wednesday workshops in French will take place every Wednesday during the months of January and February 2015 from 2pm to 4.30pm (on the second floor). 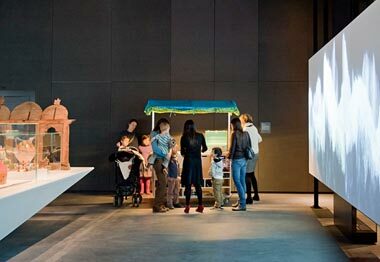 Wednesday 21st January 2014: Le MAH à tout petits pas – Mercredi Family pour les tout-petits free guided tours for children aged 3 to 5 accompanied by an adult at the Musée d’art et d’histoire in Geneva starting at 10.30am. No previous booking required, FREE OF CHARGE. Wednesday 21st January 2015: “Le zoo des beaux-arts”, part of the Mercredis Family at the Musée d’art et d’histoire in Geneva (Rue Charles-Galland 2). Children aged 6 and older accompanied by an adult are welcome every Wednesday at 3pm to discover all about the museum collections in a fun, interactive way. Reserve your places in advance at adp-mah@ville-ge.ch or by phone at 022 418 25 00. 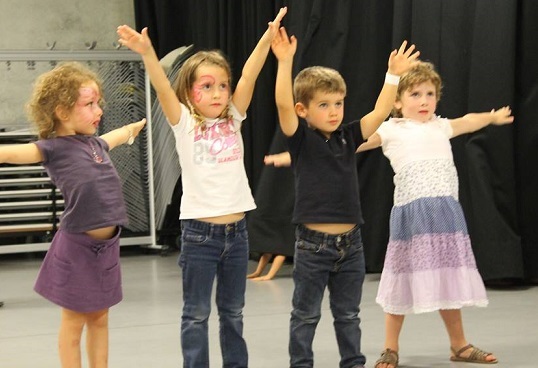 Wednesday 21st January 2015: “Oh Loup !”, a sweet, funny theatre & burlesque show in French by the compagnie Le géant de granit suitable from age 4 at the Espace Grosselin in Carouge (Rue Jacques-Grosselin 31) starting at 2.30pm. FREE ENTRY, no advance booking required. 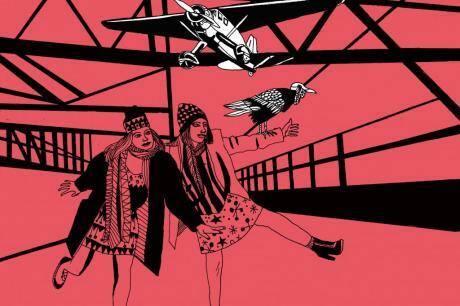 Wednesday 21st January 2015: “Théâtre d’objet Flic Flac”, a delightful and poetic theatre show at the Esplanade du Lac in Divonne-les-Bains (181 avenue de la Plage). The show starts at 3.30pm and tickets are 8 euros per person, email billetterie.esplanade@divonne.fr to reserve your tickets. 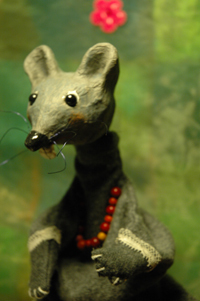 Performed in French using small objects and puppets, suitable for ages 1 to 5. 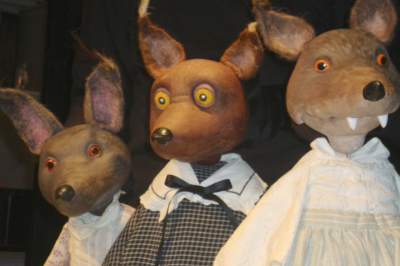 Wednesday 21st, Saturday 24th & Sunday 25th January 2015: “Les trois petites louves” puppet show in French suitable from age 4 by the theatre company Les Croquettes at the Salle communale in Salle communale in Chancy (ch. de la Ruette 7), starting at 2.30pm. Tickets on sale at the entrance so try to get there a bit earlier. There will be other performances on Saturday 24th at 2.30pm and on Sunday 25th at 11am and 2.30pm. 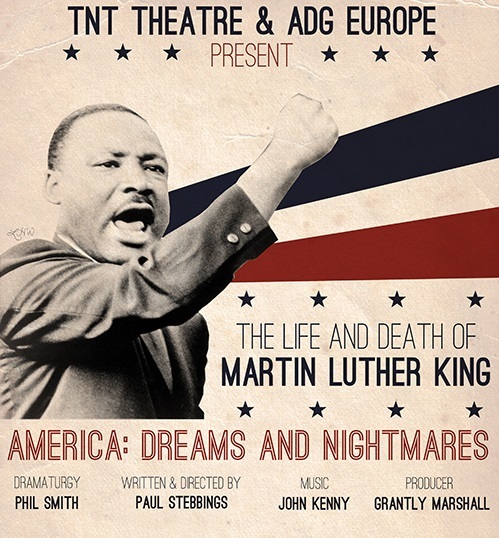 22nd-23rd January 2015: “The Life and Death of Martin Luther King” theatre show in English by The American Drama Group Europe and TNT theatre UK. This theatre piece follows the spiritual and political journey of Martin Luther King and his struggle for racial equality and civil rights in the USA. 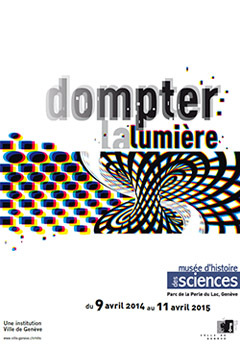 Performance begins at 8pm and will take place at the Uptown Geneva theatre (Rue de la Servette 2). Click here for full details and to reserve your tickets. 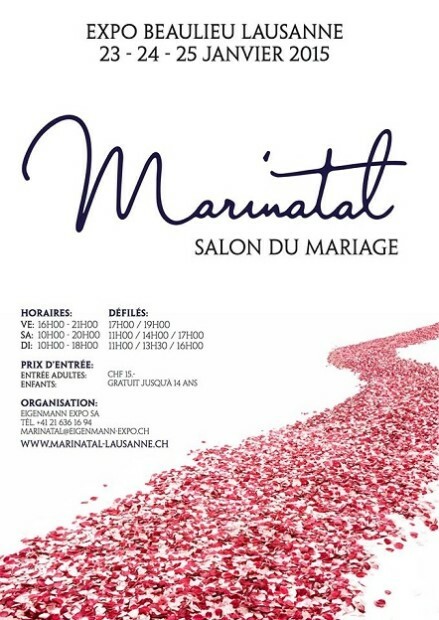 23rd-25th January 2015: Marinatal Salon du Mariage at the Beaulieu in Lausanne. This is the biggest wedding show in French-speaking Switzerland so don’t miss it if you’re planning your big day! 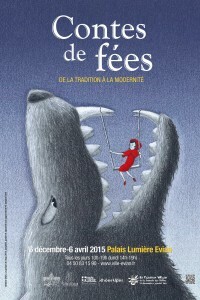 until Saturday 24th January 2015: “DES RICHES ET DES PAUVRES”, a theatre show in French suitable from age 7 at L’Étincelle 18 in Geneva ((Maison du Quartier de la Jonction, avenue Ste-Clotilde). The show, performed by La Compagnie « Un Nuage en pantalon » takes place in Greece and will use music and theatre performance to approach the delicate subject of social inequalities between the rich and the poor. Ticket prices start from 8CHF, click here for exact performance times. Saturday 24th January 2015: “Dinosaures, fossiles et autres aventures de la Terre Animation Géosciences”, a workshop and conference in French for kids aged 6+ at the Muséum d’histoire naturelle, Genève (1, route de Malagnou). A fun way to discover more about fossils and dinosaurs, these free Wednesday workshops in French start from the hall on the 3rd floor and take place at 2pm, 3pm and 4pm. 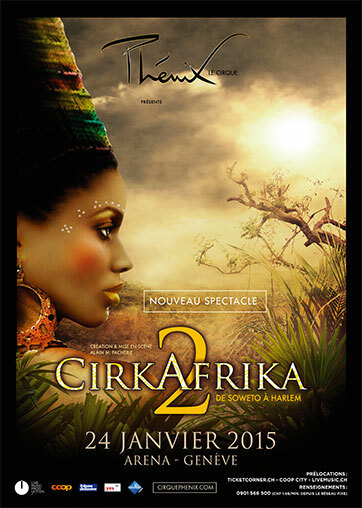 Saturday 24th January 2015: “CIRKAFRIKA 2” – from Soweto to Harlem, a superb music, dance and acrobatics show suitable for the whole family, performed in French at the Arena Genève at 8pm. Check the official website for ticket prices and bookings. 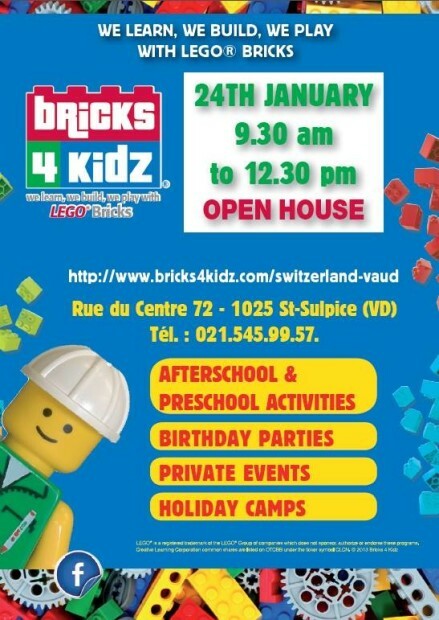 Saturday 24th January 2015: Open Day at Bricks4kidz in St-Sulpice (VD). From 9.30am until 12.30pm your little ones will be able to play with LEGOS, Duplos and discover all about the great activities, camps and courses organized by Bricks4Kidz. FREE ENTRY. 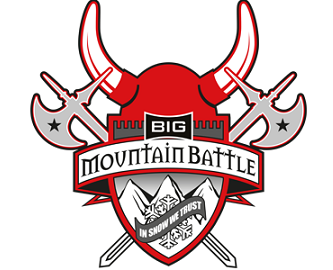 Saturday 24th January 2015: Big Mountain Battle, ski & snowboard competition open to teams of 2 as well as families in Les Gets – Morzine (France). The final goal is to rally through the largest number of checkpoints within the 3 hour limit. 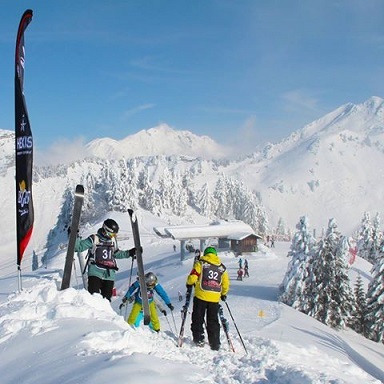 The race will start at 12 for families and teams of 2, the price is 30 euros per each team of 2 skiers. Sunday 25th January 2015: “Le Black Movie part à la découverte des Mochica!”, a fun guided tour and workshop for kids in French suitable for ages 8 to 12 at the newly reopened MEG museum in Geneva (Musée d’ethnographie de la Ville de Genève, Boulevard Carl-Vogt 65-67). From 1.30pm until 5.30pm children will be able to visit the current exhibition “Les rois mochica” and have fun dressing up with tiaras, golden crowns and jewels inspired by ancient Peruvian culture. There will be fun games too, so reserve your places now at atelier@blackmovie.ch, remember to confirm prices and full details! 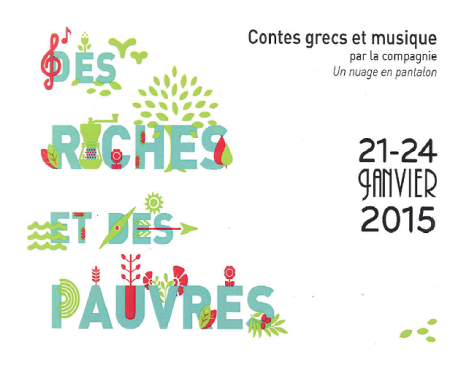 Sunday 25th January 2015: “Premier café de 2015: Danses & peinture”, kids workshop and family café in French organized by La Forêt Enchantée in Geneva (Espace de quartier du Sécheron, Avenue Blanc 7). 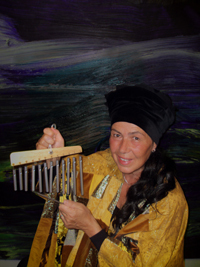 The workshop will run from 2.30pm until 5.30pm with “Danses du Monde” for all ages, followed by “La méditation de la danse” for adults and ” Peinture avec les mains pour enfants de tout âge” for children of all ages. It’s going to be great fun so don’t miss it! 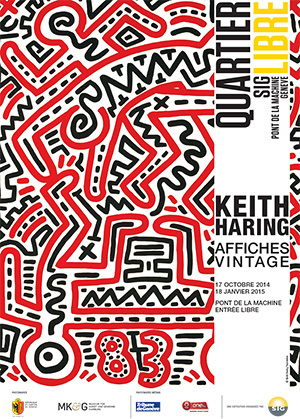 The address is: Espace de Quartier Sécheron, Avenue Blanc 7 (TPG stop, Butini, Avenue de France, Tram 15). 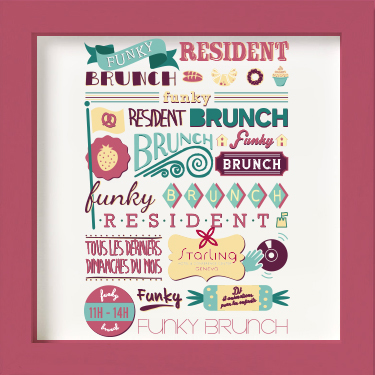 Sunday 25th January 2015: Funky Brunch at the Hotel Starling in Geneva. From 11am until 2pm, with delicious hot and cold buffet, live music and DJ sets. Prices are 50CHF for adults, free for children under 6 and – for children aged 6 to 12 – the price is the equivalent in CHF of their age. Click here to reserve your places online. 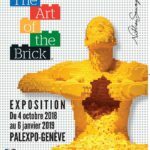 Sunday 25th January 2015: “La porcelaine s’éclate!”, creative workshop in French for kids aged 8 to 12 at the Château de Nyon (Place du Château 5) as part of their current Bouke de Vies exhibition. The workshop will run from 2.30pm until 4pm and costs 12CHF per child, places must be booked in advance at info@chateaudenyon.ch or by phone at 022 363 83 51. 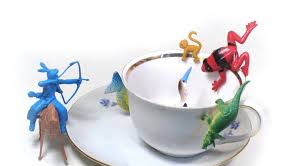 Children will learn how to create a magic porcelain cup, filled with objects from their own imagination. Wednesday 28th January 2015: “Dinosaures, fossiles et autres aventures de la Terre Animation Géosciences”, a workshop and conference in French for kids aged 6+ at the Muséum d’histoire naturelle, Genève (1, route de Malagnou). A fun way to discover more about fossils and dinosaurs, these free Wednesday workshops in French start from the hall on the 3rd floor and take place at 2pm, 3pm and 4pm. Wednesday 28th January 2015: Animation du mercredi: “Au secours des petits géants”, Wednesday workshops from age 7 at the Muséum d’histoire naturelle, Genève (1, route de Malagnou). A fun way to discover more about the fascinating world of beetles, these free Wednesday workshops in French will take place every Wednesday during the months of January and February 2015 from 2pm to 4.30pm (on the second floor). Wednesday 28th January 2015: “On improvise!”, part of the Mercredis Family at the Musée d’art et d’histoire in Geneva (Rue Charles-Galland 2). Children aged 6 and older accompanied by an adult are welcome every Wednesday at 3pm to discover all about the museum collections in a fun, interactive way. Reserve your places in advance at adp-mah@ville-ge.ch or by phone at 022 418 25 00. 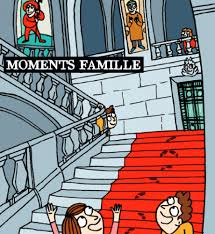 Wednesday 28th January 2015: La visite au fil des contes, guided tour and story-time for all ages conducted in French by Floriane Facchini at the MEG museum in Geneva (Musée d’ethnographie de la Ville de Genève, Boulevard Carl-Vogt 65-67). The tour is open to all and FREE OF CHARGE, meet at the information desk. Starting at 2.30pm until 4pm. Wednesday 28th January 2015: “Fills Monkey”, a fun, energetic music & drums show suitable from age 7 at the Salle des Fêtes du Lignon in Le Lignon – Vernier (Place du Lignon 16) starting at 6pm. Tickets are 20CHF for adults and 10CHF for children under 10. 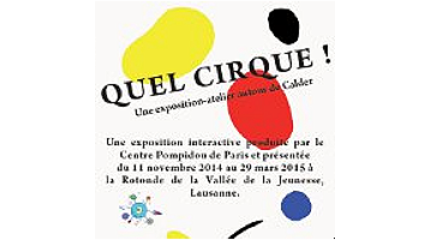 Wednesday 28th January 2015: “Après-midi spécial parents-enfants” at the patinoire in Carouge (Place du Marché 14). A special ice-skating afternoon for parents and children, running from 2pm until 4pm. FREE ENTRY, skates can be borrowed free of charge for children up to the age of 6, and for only 2CHF for children aged 6+. 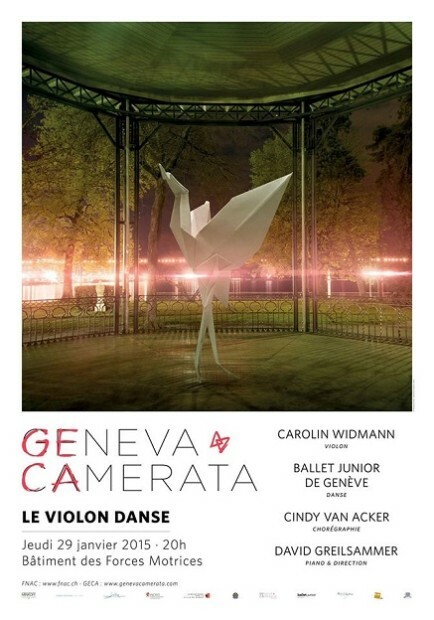 29th January 2015: “Le violon danse”, awonderful concert and ballet by the Geneva Camerata orchestra in collaboration with the BALLET JUNIOR DE GENÈVE. 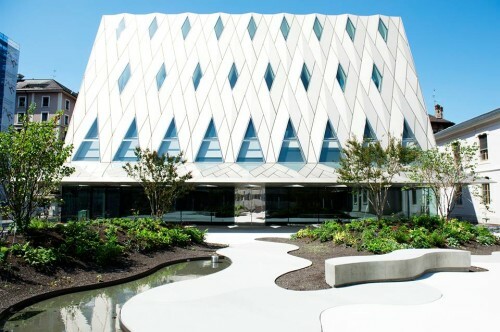 The show will be at the BÂTIMENT DES FORCES MOTRICES in Geneva, starting at 8pm. Click on their official website to purchase tickets. 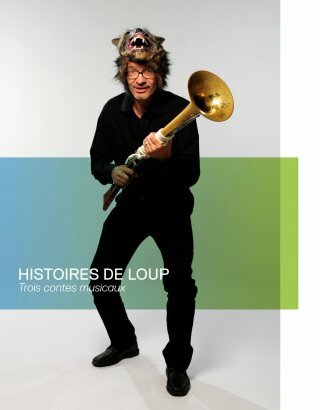 Saturday 31st January 2015: “Histoires de Loup – trois contes musicaux”, a wonderful concert and music show in French suitable from age 5 with the children of the Conservatoire Populaire de Musique. Stories of wolves will be told through music and song to the delight of your little ones, the show takes place at the Collège Calvin in Geneva (salle Frank-Martin) and starts at 7pm. 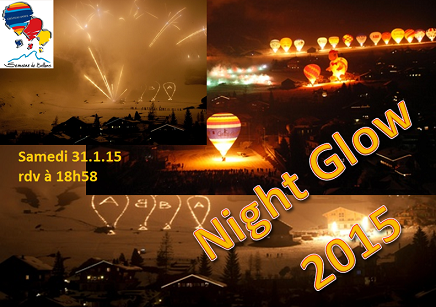 Ticket prices range from 10CHF to 25CHF, click here to reserve your tickets. 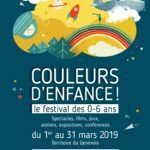 Saturday 31st January 2015: “Dinosaures, fossiles et autres aventures de la Terre Animation Géosciences”, a workshop and conference in French for kids aged 6+ at the Muséum d’histoire naturelle, Genève (1, route de Malagnou). A fun way to discover more about fossils and dinosaurs, these free Wednesday workshops in French start from the hall on the 3rd floor and take place at 2pm, 3pm and 4pm. 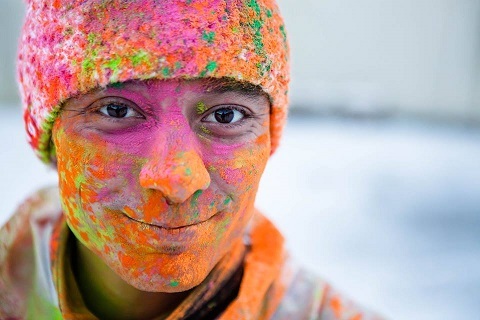 Saturday 31st January 2015: Ski Colour, a fantastic new event – half way between an art installation and a fun ski event for all ages. 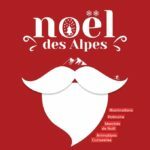 SkiColour will take place at Les Gets ski resort where participants will ski down a specially prepared run on the Mont-Chery side of the resort. With breathtaking views of Mont Blanc ahead of them, skiers will be literally immersed in explosions of colour for an unforgettable experience, a World First in Les Gets! Just to reassure all green-minded participants, the colours used are mountain and nature-friendly powders, which won’t damage the beautiful natural setting of Les Gets. There will be fun workshops for kids as well as live concerts, so click here for full programme details and to register online. 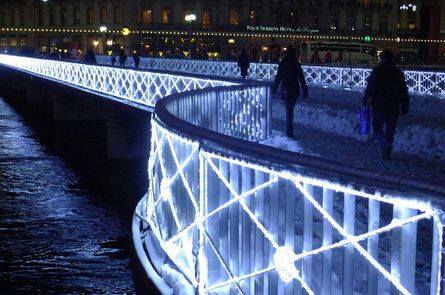 Ticket prices start at 6 euro for children and 10 euros for adults for SkiColour pedestrian passes. 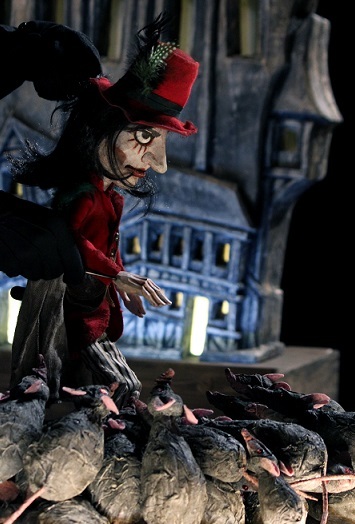 31st January – 28th February 2015: Casse-noisette, a puppet-show based on the famous Tchaïkovski’s ballet performed by the ZoT COMPAGNIE at the Espace Grange-Collomb in Carouge (Chemin de Grange-Collomb 38). Performances will take place at different times each day, so click here for exact dates and times and to book your tickets. Prices are 10CHF for children and 14CHF for adults.